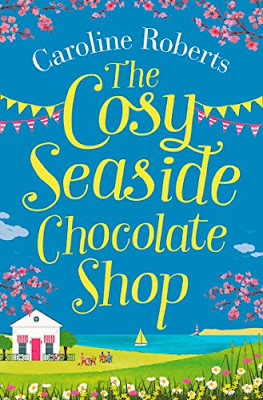 Today I am bringing you a recipe from Bev, Emma's friend and assistant in The Cosy Seaside Chocolate Shop. They sound delicious and my review for this fabulous book is up on 10th August, so try to remember to come back for that too! 1. Bring the cream just to the boil in a small pan. Remove from heat and stir in the dark chocolate until melted. 2. Stir in the gin. Pour into a bowl and chill until firm (in a fridge for around 4 hours). 3. Scoop out a teaspoon of mixture, roll into a ball with your hands – this is the messy bit! – and place onto greaseproof paper. Repeat. 4. Melt your preferred decorating chocolate gently in a bowl over hot water (white or dark – both work really well). 5. Using a fork or cocktail sticks dip the truffle balls into the melted chocolate to coat all over. Transfer to greaseproof paper to set. *As these truffles are made with cream, store in a fridge and eat within one week. Perfect served with prosecco and friends! Only time will tell in this deliciously romantic novel of love, loss, hope and second chances. 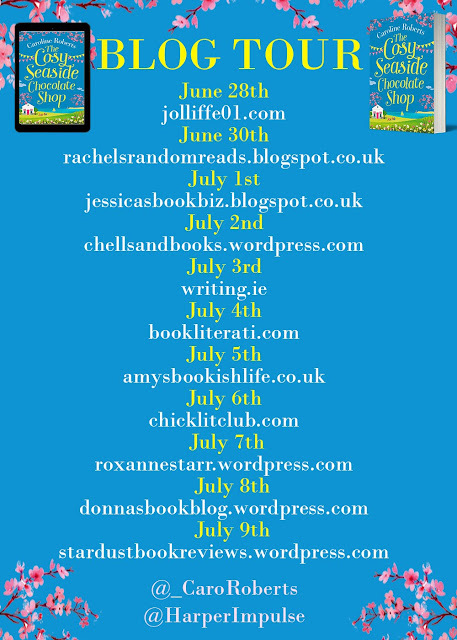 And for more chocolate shop goodies, please do follow along with the rest of this blog tour. I am very curious to see just how much chocolate is involved! And it looks as it is, that is how I have spent every summer here for the last couple of decades, a little bit of ritual yelping before the bliss hits. And it is bliss - turquoise water, golden sands and beating sun without any need for a passport or airport queues. 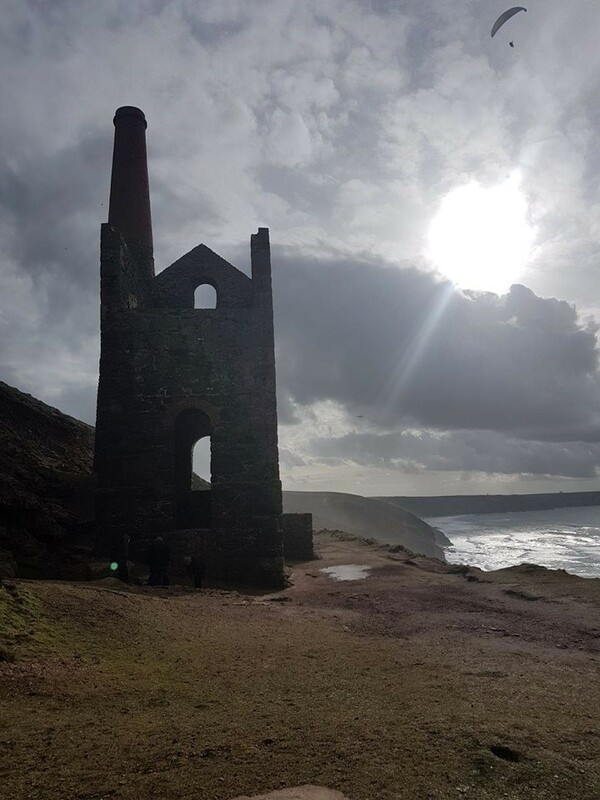 As you lie back in the sea you can’t help but examine the cliffs around, and here you can see engine houses; the iconic buildings of Cornwall, standing tall across the county, a reminder of its industrial past, of mining tin and copper, and Poldark. Although, I’ve lived here for more than twenty-five years and I’ve yet to see a shirtless mine owner cantering across a hilltop, hair flowing behind him in the wind. Snaggle-toothed fishermen though with buckets of mackerel and a quick sense of humour abound. And I’m quite happy about that, how would anyone get any work done with Ross Poldark trotting about the place? This way I can get my word count done and if I’m lucky pick up a bargain on fresh fish - straight out that sea that very day - when I’m in the pub later and roaring with laughter. For those of you vaguely disappointed about Ross, you can breathe a sigh of relief, for alongside the fishermen are the surfers. Wandering around the beaches with the best breaks, wetsuit clad and with sun-bleached hair, in and out of the water from dawn to dusk regardless of the season. And believe me when I say when it comes to surfing then you don’t mess with the etiquette, no matter who you are. I’ve heard many a tale of celebrities on holiday getting very short shrift if they dare drop in on someone else’s wave. Cornwall very much judges you on how you behave not who you are and I love it for that. For the non-surfing, slightly less active amongst us (that’s me) there’s long lazy nights and beach barbecues. I’ve made lifelong friendships by being a beach regular and there is nothing better than the smell of a barbecue mingled with the tang of sea and salt in the air. Most people tip out their handbags and find lipstick and the odd scrunched up tissue, somehow mine is piles of sand and dried seaweed and I couldn’t be happier. 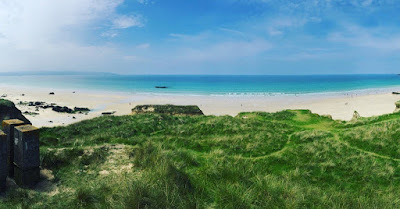 Cornwall may be surrounded by the sea but there is so much more to it than just that. Inland is as beautiful, dotted with farms and moorland. Neolithic monuments cover Cornwall from Bodmin Moor down to the far west, menhirs and stone circles scattered about as if dropped by ancient Gods and forgotten. The Hurlers however are deliberate, stone circles made from men who were petrified for daring to play games on a Sunday. But it’s not just men turned to stone that make the legends here, we also have King Arthur’s spirit flitting around the county in bird form - alive still in the Cornish Chough, magical wells stocked with healing water, and mischievous underground sprites that don’t like it if you whistle. 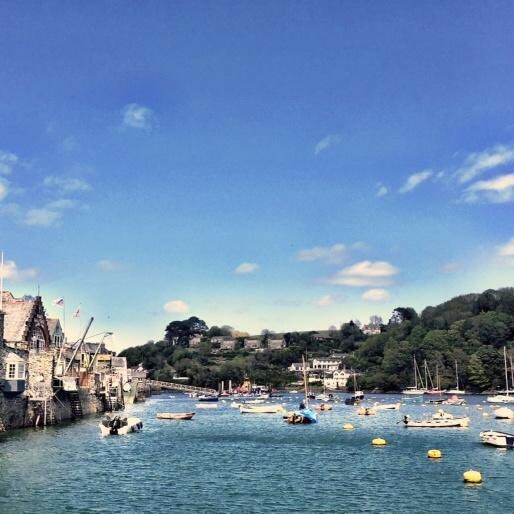 In high season Cornwall picks up the pace with Regattas and Feast weeks, rammed full of carnival parades, gig rowing, fireworks, and Cornish cider. Inland there are steam fairs with parades of steam tractors, traditional fairground rides and my favourite, the digger dancing. This is a joy to witness; great big clunky tractors and farm machinery doing synchronised dance moves often on only two out of four wheels. 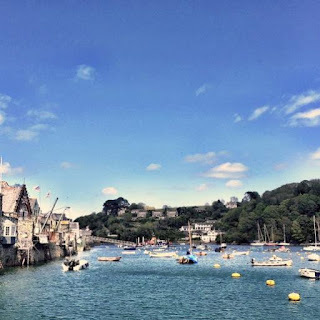 Although even with all this activity, Cornwall never ditches its laid-back vibe - everything is done ‘dreckly’ which, trust me, is a slower version of mañana. 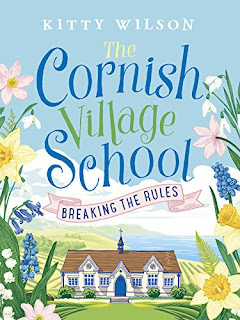 It’s no surprise that so many books and films are set in and around Cornwall, this truly is a place with its very own hint of magic, both charmed and charming. How can I not set my books in this most beautiful of counties? It’s a place where anything can happen, and frequently does. Thank you Kitty for this lovely look at Cornwall. 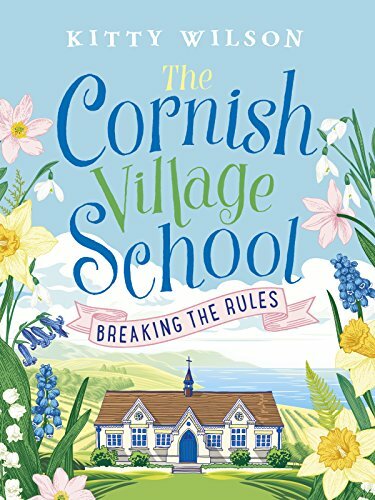 I can't wait to read your new book given I love stories set in Cornwall and schools. In Penmenna for his new gardening TV show, this guy next door will do everything he can to persuade her to break her rule and win her heart. Meanwhile, Penmenna Village School is threatened with closure and it’s up to Rosy to rally the local community to #SaveOurSchool. 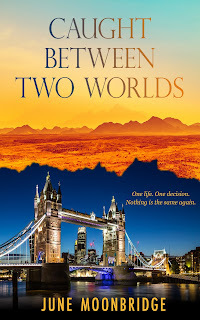 Can she bring her worlds together and accept help from the most unlikely of sources? One thing’s for sure… she won’t be giving up without a fight. Sheer genius, or completely insane? Well I have been trying to decide that the whole time I was reading this book, and the only conclusion I can come to is that it has been written by some intelligent people, with a smart wit and some fantastic ideas. Being a Londoner there is no way you would catch me reading a real travel guide to London, as lets face it I know the bits I know and who ever explores the place they live? 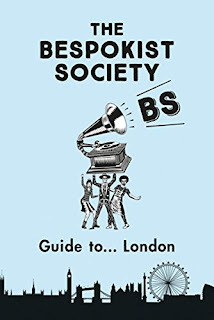 However The Bespokist Society Guide to London is a spoof travel guide that makes fun of everything to do with modern life. It is split into 5 main sections, north, south, east, west and central London and within each of those you will find "suggestions" on places to eat, sleep, stay, culture and more as well as interviews with local business owners. I found the food and drink sections the easiest to understand, as I could see just how much of a spoof they really are, while some of the small businesses I did have to wonder if they really did exist and some of them were bizarrely not bad ideas in their own right! This is a pocket sized paperback, and even has photos of some of the areas highlighted in the guide. It seems like the perfect sort of book to leave about for people to dip in and out of. Me? Well I read it in an hour in my garden, which is arguably information overload but I did spend most of the time with a smile on my face and a giggle rising about the surface. 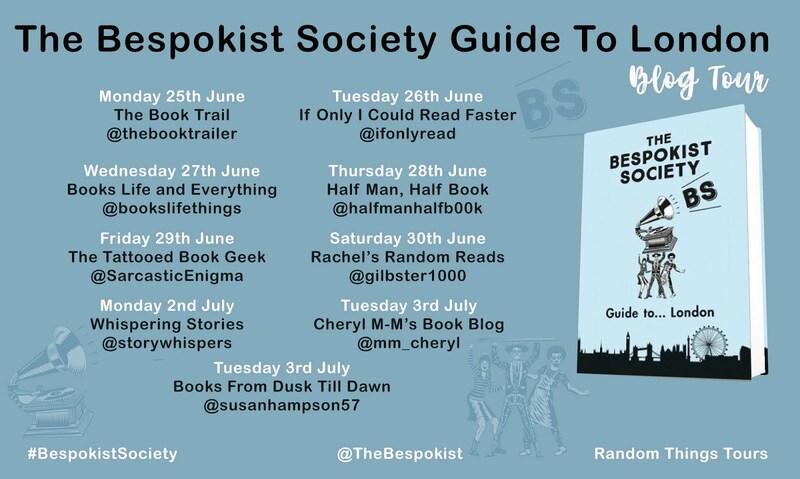 Depending on your sense of humour you will either love this book, or won't have the foggiest what is going on either with the ideas, or potentially the real world! 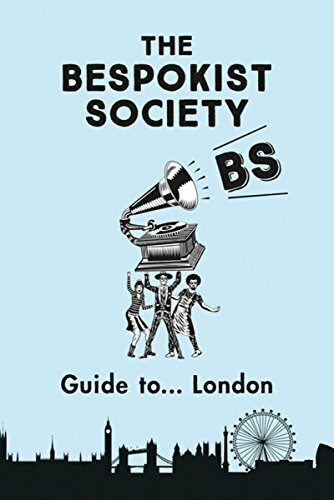 If you are looking for a book that doesn't take itself seriously, and gives you an insight into the absurdities of modern life then this could be the book for you. 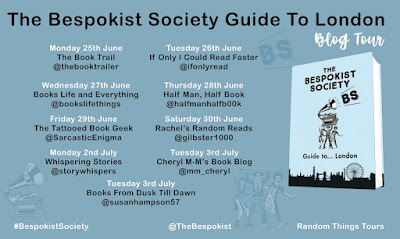 Thank you to Anne Cater for this copy for the blog tour which I have reviewed honestly and voluntarily. Being as a child somewhat a history nerd I was reading everything I was able to get my hands on about the ancient times in Egypt, as long as it wasn’t school stuff, I almost knew their history by heart. And having my kind of imagination it’s no wonder I was able to transfer myself there in my mind so many times. I was dying to see it with my own eyes. I still do, but somewhat my OH has his own reservation of making our holidays there due to the… well, um… the world circumstances. Sahara… one place I never thought I was going to fall in love with. Always considering myself to be the wind and the water person, I never expected something like this would be happening to me. But it did. More than twenty years ago for the first time. It was the trip into the dry, hot, unwelcoming nature that captured my heart. Unexpectedly. I really don’t like too much heat. I’m literally dying when the temperature rises above 28°C and the trip into the heart of the heat itself, wasn’t something… oh wait. It was. It was something I was looking forward to. Yes, it was true that I was looking for the shadow everywhere it was possible to find it. The water canyon in the oasis we stopped to look at, the big stones on the hills where another oasis was… but then, in the evening of that first day of our trip we stopped in the middle of it. The sun was going down, but it was not yet the evening and the hot breeze that followed us during the day, became less hot. More bearable. We were taken not far from the main road – read ONLY road in the dessert – to meet the Bedouins. There I touch the sand for the first time. It wasn’t rough as I expected. No. It was like a glass hour sand. If you ever broke one of them, you’ll know what I am talking about. And there, right there – it happened. I fell in love with it. It was… A magic moment. The sun went down slowly on the horizon, we were given something similar to a hijab to cover our heads and mouths due to the higher winds and the sand that was risen from the ground. And we were welcomed to ride the camels. Coming back home… I longed to go back again. I still do. I try to convince my OH every year to take our holidays there. Till now no luck… but I will return… one day. However due to the longing something just clicked together in a story. 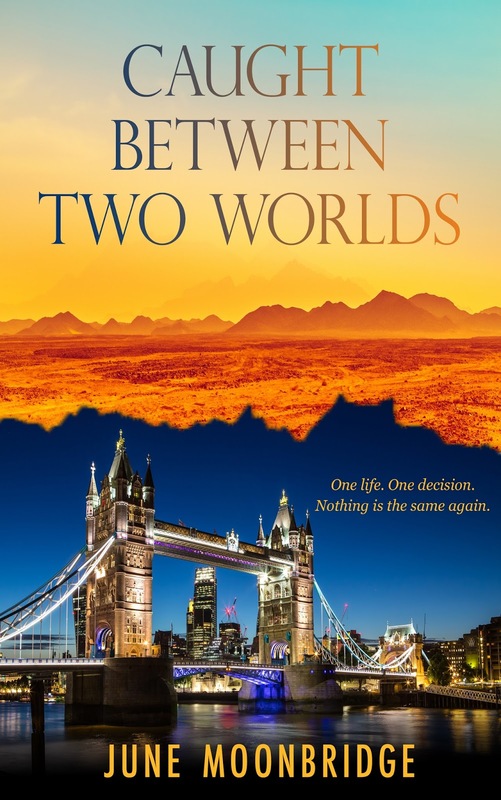 A story that came together in my second novel Caught Between Two Worlds. A vacation on the shores of the Egyptian Red Sea was Veronica Blake’s long-lasting dream. Thank you so much June for this great look at Egypt and the Sahara Desert. Omid Djalili's childhood was unconventional, to say the least. He was raised in a beautiful, chaotic, cramped, colourful and legally dubious guesthouse where his parents fed and watered Iranian nationals flocking to the UK. Over twenty years almost 2000 'cousins' passed through the Djalili's doors and the young Omid played translator to each. Although these years taught him a lot about the rich tapestry of life, this parenting by committee led to a slightly chequered school career which saw Omid taking his A levels a record six times and eventually fake his own university entrance papers. Desperate to be free of his cramped living quarters he escapes to the University of Ulster where he lives a life of wonderful solitude. Full of the warmth and intelligence that makes Omid such a successful comedian and sought-after actor, this memoir takes us on an incredible and laugh-out-loud funny journey through an unusually British life. Very funny autobiography of a man who is in fact now a stand up comedian, so I would have been upset had it not been funny! I was laughing out loud from the first few chapters and generally there was a joke or a laugh or two to be had in each chapter. 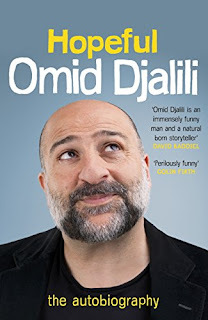 The book focuses of Omid's life growing up as a British born Iranian man, whose parents ran an incredibly worthy guest house that meant that there were strangers in and out of Omid's life the whole time. There are chapters detailing his love of football, I will forgive him being a Chelsea fan as it was his local team and it sounds as though he was a useful player too. His experiences with education were fascinating, honest and what struck me was the level of determination this man has and arguably his delusions of grandeur. There were chapters involving visits to Iran as a child and his extended family, and I really enjoyed delving into this different culture. Overall this is an incredibly insightful, interesting and entertaining look at the life so far of a comedian I enjoy watching, split into easy to follow chapters, detailing his childhood, education, assorted jobs and attempting to become an actor amongst other elements. I really enjoyed reading this. 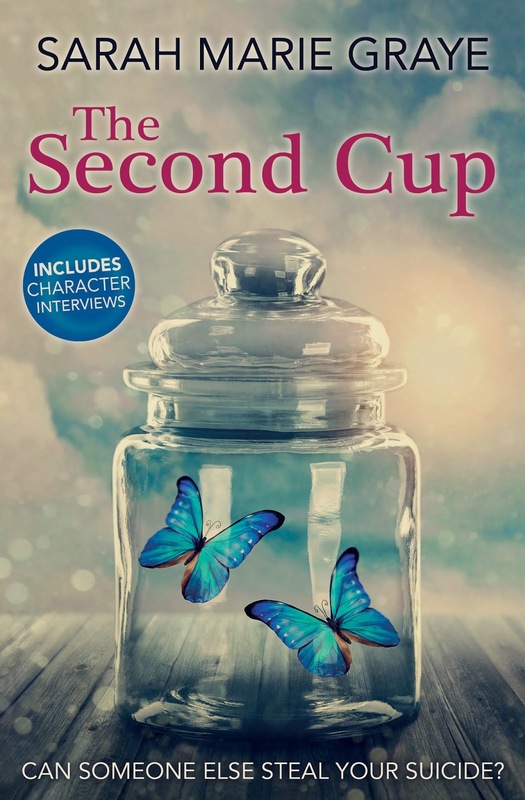 The article is written by Beth, who is a character from The Second Cup. "Every four years I become a football supporter. The only time I pay any attention is during the World Cup. But it's not, as it is with many of my friends, to support England in yet another hopeless attempt to relive the glory of 1966. For me, it's to support Argentina. But my Mum came alive with hysteria. She's someone who's always seen football as "22 men chasing a pig's bladder around for 90 minutes", but she was outraged. Why was she suddenly showing a loyalty to the national team that she'd never done before? "Hand of God?" she gasped. "How dare he take the Lord's name in vain." And that was it. My fate as an Argentinian supporter was sealed. Do I feel guilty about supporting them? Well of course I do: if you're brought up Catholic you never get to escape Catholic guilt! But I've learned to revel in it - to enjoy the feeling of "being naughty". Eating your dessert first and risking it ruining your appetite? Check. Crossing the road without waiting for the green man? Check. Supporting the football team who cheated and then made it about religion? Check! They're up against Iceland, Croatia and Nigeria in the group stages which, for the Argentinian team of 86, would be a breeze. But their 6-1 loss in a friendly against Spain suggests there could be trouble ahead. I'm not too worried though. The best thing about supporting a team for all the wrong reasons is that you don't really mind if they get knocked out!" 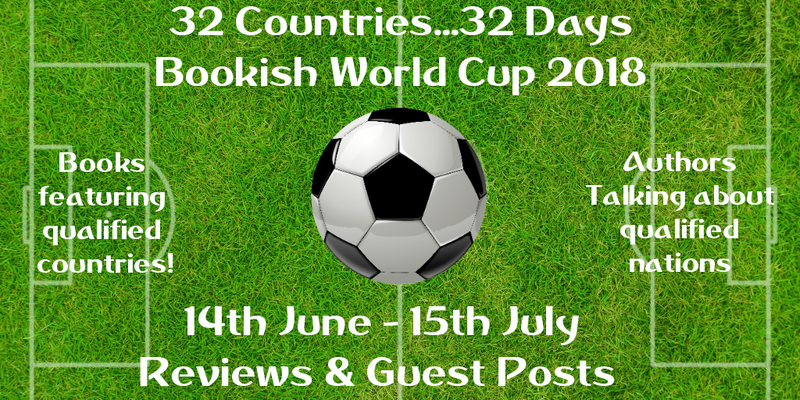 Thank you so much Sarah Marie Graye and Beth for taking the time to talk to me about one of the most annoying ways England ever went out of the World Cup! 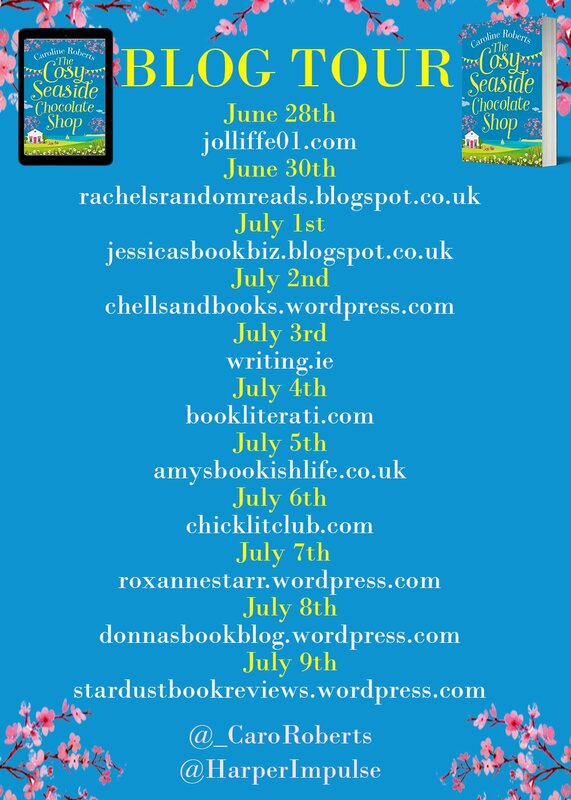 This is dark chick-lit and intelligent women's fiction at its best. Perfect for fans of Maggie O'Farrell, Elizabeth Strout, Dorothy Koomson and Amanda Prowse. Chances are that most of us, when we think of Croatia, still associate it with what has been described as one of the bloodiest conflicts since the end of WWII. I don’t profess to understand it in detail, but essentially it was a war of independence, in which many Croats sought independence from Yugoslavia. It occurred between 1991-1995 and although deemed a success, it undoubtedly took a heavy toll on the country- it’s architecture, people, economy and society in general, and the scars, both physical and psychological, have yet to fully heal. So that’s the heavy stuff out of the way. Despite its recent bloody history, Croatia has some rich offerings which will please even the most serious of doubters, whether traveller or tourist. It sits on the beautiful Adriatic coast with its crystal clear turquoise waters and white sandy beaches bleached by the sun. Perfect for the sun worshipper but also for the water babies and adrenaline junkies. If you’re into Island hopping, sailing, diving, sunbathing, hillwalking, history and culture, I’d lay a bet that you’ll find something in Croatia to satisfy the heart, soul and mind. If it’s food and wine you’re after then Croatia has plenty on offer. This is a country whose shifting borders and neighbouring influences on religion, food and art is clearly reflected in the choice of food and wine on offer. You’ll find pasta, dumplings, black truffles and goulash on the same menu, with a choice of regional wines to wash it all down. 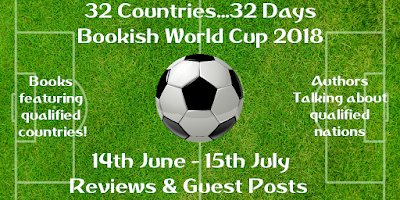 A ‘bookish world cup’ feature wouldn’t be complete without a mention of a) the Croatian football team and b) arts and literature. So, the football team- well they’re quite good so I’m told and are ranked 17 in the FIFA ranking position. Even I’ve heard of Luka Modric but that’s probably more to do with my boy’s addiction to FIFA on the x-box. I won’t say anymore about the football as I really don’t know much more and my knowledge from here on in is courtesy of Google and Wiki! Famous Croats in the arts include Oscar Nemon, a sculptor who escaped to England just ahead of the 2nd World War. I mention him because he sculpted many famous politicians including Winston Churchill, Harold MacMillan and Maggie Thatcher. Churchill’s statue is located in the House of Commons and many MPs rub it for luck! In literature, sadly I haven’t heard of many of those listed, however I have heard of Slavenka Drakulic, journalist and novelist whose works include, As If I Am Not There and They Would Never Hurt A Fly, a book which is based on her own experiences and reflections of overseeing the prosecution of those responsible for serious crimes committed during the Yugoslav wars at the Hague. Her novel, Frida's Bed, is the one I am most familiar with though. It is based on a biography of a Mexican painter Frida Kahlo, a fascinating insight into such an influential figure. A mention of famous Croats wouldn’t be complete though without a nod and a wink to Goran Višnjić, who played the lovely and deeply troubled Dr Luka Kovac in ER, back in the day when I was a dedicated fan. Obviously he’s known for so much more than this, but like George Clooney, it’s a cross he has to bear. Others include Goran Ivanisevic, famous Tennis player and Wimbledon champ, Tomo Miličević, lead guitarist with Thirty Seconds to Mars, 2Cellos, two Croatian classically trained cellists who play contemporary music ranging from Nirvana to The Jacksons (you should watch this YouTube clip, it’s awesome, https://www.youtube.com/watch?v=jS826PwLHdQ), and lastly, who would have thought it, but Adrian Chiles, British TV presenter. He’s half Croatian on his mother’s side which creates a real dilemma for him when Croatia and England play football, which takes us nicely back to the beautiful game. Good luck Croatia! What a great look at all aspects of Croatian culture, and I'm impressed at just how many names I recognised from this list. Thank you so much Kirsten Naim for this post. I live in Scotland with my husband, two young children and the usual array of pets that seem to accompany small children. I studied science at Edinburgh University when dungarees were in fashion and Dexy’s Midnight Runners could still cut it with the young ones. I really should have studied Art and English and blames my guidance teacher for poor advice! A Sorry Affair is my debut novel, set in Edinburgh, inspired by a prosecco-fuelled conversation I overheard on a train! It follows the lives of Mack, Jen and Abbi. Mack and Jen have the perfect relationship, until Mack meets Abbi. His feelings for Jen remain the same, but for some inexplicable reason he is drawn to Abbi and before he knows it, he’s in too deep. Abbi has no idea that Jen exists, let alone that she and Mack are engaged. The story is initially told from Abbi’s point of view. What is it like to be the other woman? Can you really have an affair without knowing it? It has been described as A beautiful story of pain and sadness as the ‘perfect’ engagement unravels: a tale of the unwitting downward spiral and destruction of a perfect relationship: emotional and full of suspense. One more thing- I write in secret. No-one knows I write or that I have had a book published, not even my husband or family! 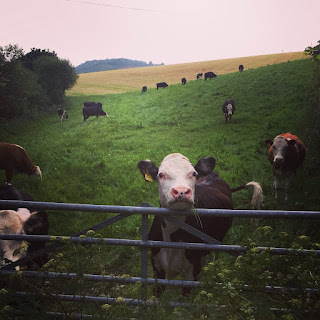 This blog post is in memory of a wonderful fellow blogger Ruth Seba. 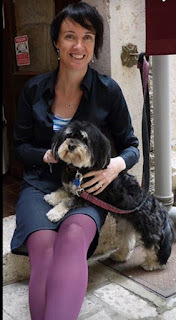 It is a bit of a mixture of a personal memory, a shared love of writing/blogging, and a travel blog, all connected to Croatia. I hope you enjoy this little taste of an exotic land. I first ‘met’ Ruth back in 2011 when we were both blogging for a 30-Day Blog Challenge, it feels like such a long time ago now. I was blogging about mental health and Ruth was blogging for business. 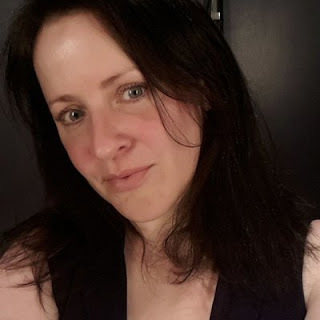 We very quickly became firm blog, and Facebook friends, and this led to us writing a guest post for each other, you can read Ruth’s post on my blog here. 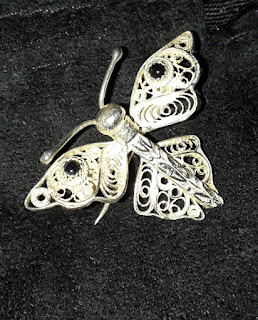 At the time we met Ruth lived in Korcula, Croatia, where she had a jewellery shop with her husband, Doka, called Seba Dizajin. She was hoping blogging would help their small business grow… it worked. You can see her blog here. In June 2012 I travelled to Korcula to met Ruth in person, such was our friendship, and at the same tome I could get to experience Croatia for myself, having never travelled that far before, especially not on my own! I arrived at Dubrovnik airport in June 2012. As I stepped out from the air-conditioned plane I was hit by a wall of heat unlike anything I had felt before, I was instantly drenched in sweat. I had a few hours to kill before my transfer to Korcula so, leaving my luggage at the transfer office, I went for a wander round Dubrovnik Old Town. Whilst it was a stunning place to visit the 35-degree heat was incredible, the first thing I bought was a sunhat but even that wasn’t enough to help prevent me feeling like I was getting heatstroke. Even the staff in the transfer office had been complaining it was too hot for them, hotter than they were used to, so you can imagine how bad it felt to me coming from cold, wet, England having never been anywhere hot before! Many bottles of water later I was on route to Korcula. The minibus ride took us through the captivating countryside, which was beautiful, but at the same time melancholic. Evidence of the war was still clear, with pock-marked remnants of buildings and sparse, barren expanses of land, in between areas where the signs of recovery were clear. Because, for those who don’t know, Croatia was part of Yugoslavia until War of Independence in the 1990’s. After a short pitstop at my hotel, Liburna, (I say short but what I really mean is pass out in the air-conditioned room stripped bare and wandering if it would be possible to stay naked the entire time I was there! 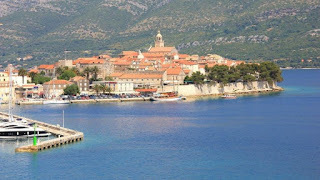 haha) I went out to Korcula old town to meet Ruth. I had bought a few books over for her as she struggled to get books that were popular in the UK in Croatia. 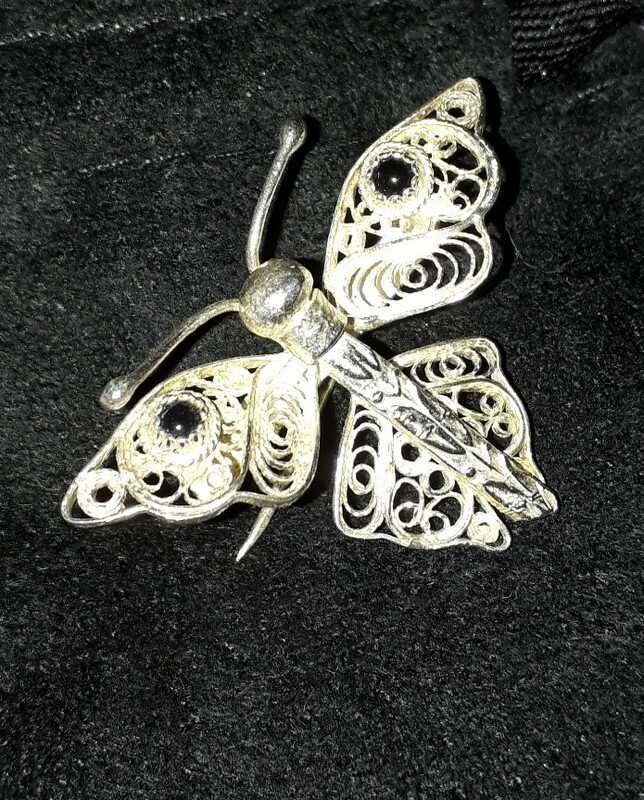 Ruth had a gift for me too, a gorgeous, silver filigree butterfly brooch (pictured). It was awesome to see her little shop, just under the Marco Polo tower and watch Doka working away on the handmade silver jewellery. After I had been back to the hotel for my evening meal we spent a few hours catching up and had a couple of drinks in a quaint outside bar (The name of which I unfortunately cannot recall) overlooking the Peljesac Channel and it finally cooled down enough for me to be able to sleep once I got back to the hotel. 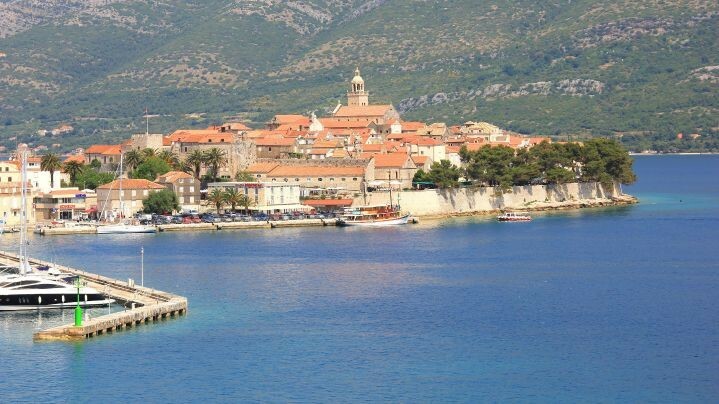 My visit to Korcula was unfortunately cut short, a combination of personal problems back home and being unable to cope with the heat meant I went home early. It feels like it was only a short while after I got home that in one of our many conversations Ruth broke the news about her cancer, when exactly that was I’m not sure, but it was probably longer than it feels looking back. When she told me, I was convinced she would beat it, Ruth was a fighter, a strong, amazing woman who always had a kind word and a virtual shoulder for others even with all she was going through herself, she rarely (if ever) complained, or even mentioned her illness online. It wasn’t until Ruth started posting about funding for treatment in December 2014 that the seriousness of her illness became apparent. Ruth and Doka were staying in Ruth’s hometown of Dunedin, New Zealand when she posted about her cancer properly for the first time. Ruth had stage 4 melanoma for which treatment was not funded in New Zealand, so she was trying to raise money to help her get the treatment she needed. 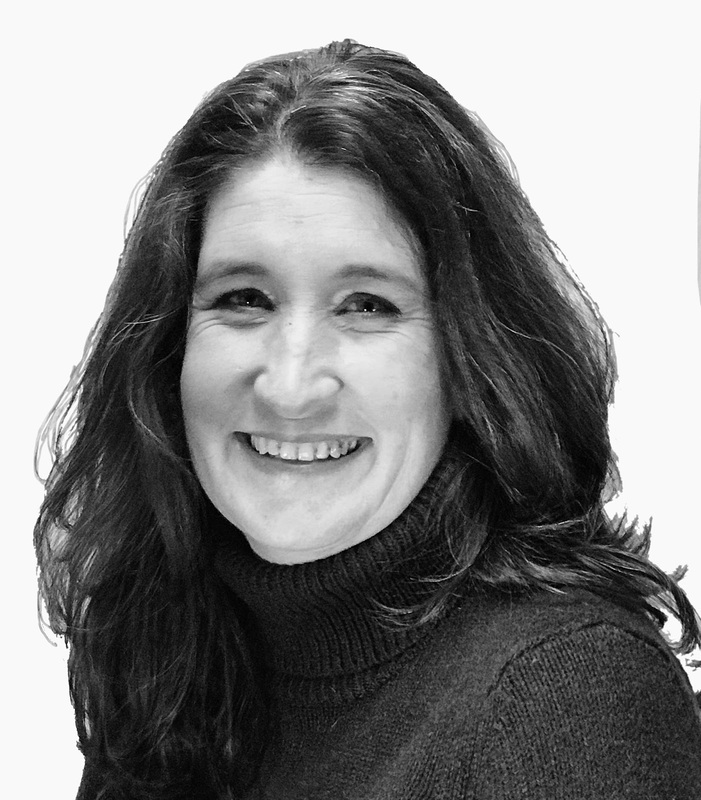 Unfortunately, on 21 April 2015 Ruth lost her battle with the cancer. Travelled far and wide touching the hearts of many whose paths she crossed including mine. From her hometown of Dunedin, New Zealand, to Scotland where she lived for 12 years, to Croatia where she lived and worked with her beloved husband Doka. What a heartfelt post and Ruth sounds like a true friend. I am so sorry for your loss, but love your descriptions of Croatia. 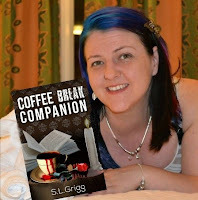 S.L.Grigg has been blogging since 2009 and has just published her first book Coffee Break Companion. When she isn’t writing she enjoys reading, travel, studying, and much more. She is currently training to become a Pilates instructor, as if she hadn’t already got enough on her plate!